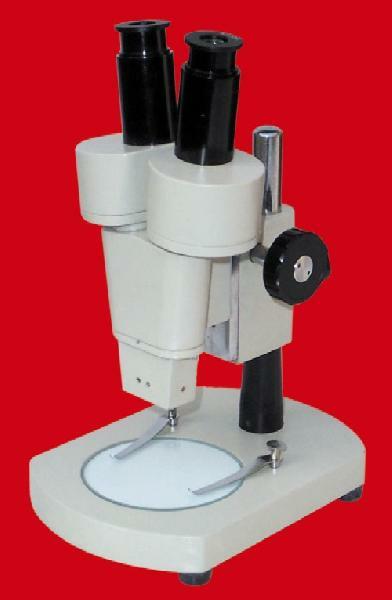 Fixed objectives 2x or 3x and fixed eye piece 10x (Paired), magnification 20x or 30x complete in wooden box. Do as above with one eye piece fixed and other focussable by helical motion. Do as above heavy stage, having reflector, elbow rests. Magnification : 20x to 60x or 30x to 75x complete in wooden box.